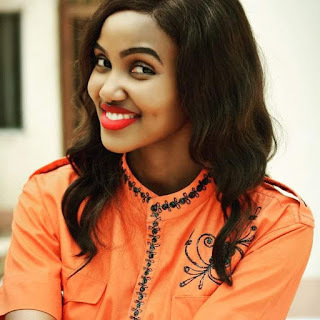 I was really awed interviewing her online, her life is an expression of God's goodness and faithfulness. Her smiles alone gives you that vibe, she is one exceptional woman making impact, affecting her generation positively and contributing immensely to Kingdom advancement. Let's quickly grab a glimpse of what she shared with us! Welcome to the blog ma'am. Please can you introduce yourself and tell us what you do? Thank you. 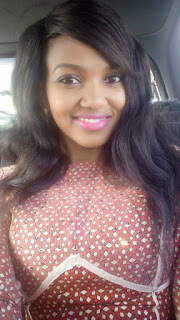 My name is Matilda Adams, I currently work for a downstream Oil and Gas Company in Abuja. I am also an entrepreneur with interest in agriculture, oil and gas, etc. I am presently not deep into any business for now. But I'm exploring several investment options but still making plans for set up. I am an entrepreneur at heart always looking for how to explore available opportunities and that has made me go into several business over time. How will you describe your relationship with Jesus Christ? tell us much of what He has done for you? Wow...My relationship with Jesus Christ is the essence of my being. All that I am and am becoming is centered in Him. He literally picked me up from being a nobody, headed for destruction and has set me on the path to complete success. Though I grew up in a Christian home, but I would say I gave my life to Christ in 2009 because that was when I fully came into the understanding of what it means to fully commit and surrender to God. He took hold of me and ever since then, it has been one level of growth to another. What an awesome testimony ma! That's a perfect definition of His love for you and I'm so glad you made that decision. I'm glad I made the decision too. It was the best decision I ever made. Now my life flows from that decision. Everything I do is hinged on pleasing Him and establishing His kingdom here on earth. I wonder where I would have been if I hadn't. Thank God for that ma. Do people ever tell you, Matilda you take this Jesus thing too much? If yes, how do you handle that? (She laughs) All the time. I have learnt that it's a personal race and relationship. The most important opinion in my life is God's opinion and not any man. I live to please God alone, so if any body has anything to say that's against God's principles, it doesn't even sink in, it bounces off. I think as believers, we need to get to the point where what people say doesn't bother us. We need to have an audience of one, where all that matters is pleasing Him. Jesus said it! So we receive all the blessings that are our inheritance together with persecutions. Yes ma, I'm so happy to hear this. Especially in a world where people are ashamed to proclaim or attach Christ to anything that has to do with them. Jesus died unashamed to save us all, we should never be ashamed to proclaim who He is and what He has done for us to anybody. Yes o! His passion for me is unreserved so mine should be too. I'm a reserved person until you touch my core passion. We need to get to that point where it really doesn't matter, where our self esteem isn't built on what people say about us but on what God's word says. What is your idea of a Proverbs 31 woman living in the 21st Century? For me, a Proverbs 31 woman in the 21st century is a mix of a woman that has her home together and also a woman of influence when it comes to business or career. She is submissive to her husband, a blessing to her children, staff and community. A blessing to her church. A role model to young women, a breath of fresh air to elderly women. She has her home together so much that her husband is seen as a man without flaws. In other words, she fully covers him. You know...many people think it's way too hard to be a Proverbs 31 woman especially in this 21st century where we have a lot of things going on; you see a woman who is richer than her husband finding it so difficult to submit to him, women nowadays don't stay at home anymore, they also go to work in the morning. There are those who suffer being maltreated by their spouse, there are also those who lack character and dignity, etc. Can you really say, it's possible to be in the 21st century and still be a Proverbs 31 woman? Of course! A woman that wants to be successful and submit to a man must first learn to submit to God first. Submission can be hard but we have the advantage of the Holy Spirit. With submission to God, you will come to a point where you realize that all that you have isn't actually yours but God's and you are just a steward. Your lifestyle is one thing I believe if every other women can pick lessons from, the world will be one better place; the way you use your beauty to draw Men to Jesus, the way you love and celebrate people, the way you appreciate and support others, etc. How do you do it? What drives you? What are those principles that have helped you so far? It all starts from knowing that all you have, God gave you. And all He gave you, is for a purpose. Abuse is using God's gift in ways he didn't plan for. And also, when you learn to appreciate yourself from God's eyes and know your worth through God's Word, you'll learn to appreciate others. You'll realize that every creation of God (Human in this case), is valuable and was created for a purpose. I was taught by my spiritual father, Apostle Joshua Selman, that the worth of a human's soul is the blood of Jesus. Human beings are fond of celebrating people only when they're dead...when what you're saying is of no value to them. I have learnt to celebrate God's gift in people while they are here. God will not drop from heaven. Everything He'll do on earth, He'll do through men. Also, my Pastor, Reverend Biodun Fatoyinbo has reinforced the principle of celebrating people. This is one major principle he lives by and is one I have learnt to live by...Rejoice with those that are rejoicing...Celebrate people's graces. If you truly admire someone and the person has been a blessing to you, what stops you from saying it? It is pride...Handle it! The truth is, honor opens doors that could never have been opened...When you honor a man, all that he has access to is freely released to you...So as you enjoy celebrating them and seeing smiles on their faces (which is just priceless), you are also setting yourself up. You sometimes have no idea how celebrating people can go. It can make people discover purpose because you might have celebrated something that they have underestimated that God wants to use to bless the world. Every great person today has one or two people (if they have more, they are more than blessed), who saw great things in them and were not intimidated to say it. We need to realize that there's a lot of space up in the sky to shine. No need feeling intimidated by your brother's shine...We all have our race and there's a lot of room at the top. (Smiles) It's both a privilege and an honor. You work at an Oil and Gas company and you are also an entrepreneur, can you share with us how you balance the two? how do you balance work, social and spiritual life, will you really say you are walking in purpose or fulfilling God's will for your life? Most of the businesses I have done have involved marketing online or as I go about my day. Also, for now I'm not majorly involved in any business but based on plans that I have, it'll involve getting credible people to manage the business because running an active full blown business and working a 9-5 job won't easily go together. And as for balancing work, social and spiritual life, it really takes grace and discipline. Time management, owning and controlling your own time, setting goals and assessing if you met them and looking for better ways to set those you can meet. Purpose is progressive. Once you discover what God will have you do, find out the next thing He'll have you do because it is made of taking small steps and obeying little instructions. Being where He wants you to be per time. So, yes I believe I am at the center of God's will for my life and I am fulfilling purpose in the capacity that I can at this stage. Will I be here for long? I can't say Yes. But one thing I'm sure of is, as I yield to God and follow His leadings, I'll always be where He wants me and at the end, I'll be able to see the full picture. What skills have distinguished you along your career path? And what do you think hinder ladies from living up to their full potential? How will you encourage them to overcome it? I would say; Passion for knowledge, drive for success, teachability, character, integrity and spirituality. And for what hinders ladies; Not recognizing and embracing who and what God has called them to be, focusing on the wrong things, societal pressures and sometimes just plain lack of wisdom. Ladies need to dust off that belief that they don't have to succeed on the work front but just find a wealthy man and marry him. On the contrary, if you look at Prov. 31:10-end, you'll see that she had everything together. Even her staff were blessed by her. We need to realize that, yes we were called to support and to be their help meets but if you cannot add value to them, you're a counter-meet or an opposition-meet. Not every woman is called to the corporate world. It all starts from understanding your purpose. Some women are called to be corporate successes, some are called to be business moguls. Some are called to show other women how things ought to be done when it comes to parenting or home-making etc. One thing that shouldn't be though is that you're all that you believe God has called you to be at the detriment of your home. Your home is your first calling. And it is very possible to have a successful job or own a company and also be a successful mother and wife. If it wasn't possible, how did the Proverbs 31 Woman in the bible do it? We should learn from her and from other women in our days that are doing same. The mandate in Genesis 1:26-27 wasn't just to the men. We have great potential and not harnessing it is wickedness and injustice! Meaning it's so important for every woman to locate her place and stay in her lane? And also she shouldn't forget her place of primary assignment as she pursues other things? Exactly! Find your place and receive wisdom from God and by mentorship from other women on how to hold it together. Grace is available for us. I believe you have mentors and people who have made diverse impact in your life, can you tell us who they are? A whole lot! And honouring them is one little way I can say thank you...The first would be my Spiritual Father, Apostle Joshua Selman. He was the first person to actually point me in the right direction spiritually and in a lot of other ways. Others include Rev. Biodun Fatoyinbo, Dr. Myles Munroe of loving Memory, Dr. Cindy Trimm, Gloria Copeland, Papa and Mama Oyedepo, Pastor Paul and Becky Enenche, Pastor Modele Fatoyinbo, Pastor Gideon Owonubi, Bishop Benson Idahosa, Kim Walker-Smith, Sonnie Badu, Pastor Chingtok Ishaku, Victoria Orenze, Nathaniel Bassey, Pastor Chris Delvan Gwamna, Peter J Daniels, Leke Alder, Kenneth Copeland, Julian Kyula, Strive Masiyiwa. I can just keep mentioning so let me stop here. Wow...great and anointed people indeed. I honor them all, they have all been a blessing to us one way or the other. Are you in a relationship? What do you think every young lady should look out for in a life partner? Yes I am. I am engaged to the most amazing man on earth (love struck). For me, the most important things are; He should be a believer submitted under spiritual authority and having his mind renewed by God's Word. He should have found purpose because you are called to assist Him in that, so how will you know you can assist him if he doesn't even know his call. He should be doing something along the line of purpose. He should be sincere. He should have integrity. He should be a leader. He should be a man of love. He should love not just you, but people. You should see fatherly instincts in Him because He will father you and your children. A good woman is hard to find, and worth far more than diamonds (Prov. 31:10) what key characteristics do you think every good woman should possess? Hmmm...I would say teachability is the key thing because anything can be learnt either from the Holy Spirit or from people so if you have a teachable spirit, there's nothing you cannot become. Once you are teachable and ready to learn, the Holy Spirit can teach you humility, submissiveness and gentility. And people can teach you; home management, etiquettes, business ethics etc. Teachability has to go hand in hand with a passion and crave for knowledge. Finally, you will be turning a year older tomorrow. If you were asked to advice your younger self, what will you say to her? I would advice my younger self not to be scared to take giant steps. I would advise her to discover herself (who God has called her to be) not minding that she is still really young. It's a wrap! Wow...It was such a great delight having you on the blog. I really learnt a lot and I believe anyone who gets to read this will pick more than one or two lessons that will inspire them to be nothing less than who God created them to be. Amen! Thank you too love. I also enjoyed myself. 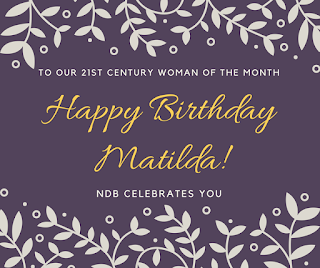 Thank you so much Matilda for taking out time to be here, we love and celebrate you. And we wish you a very happy birthday, many more blessings in Jesus name (Amen). Keep shinning brighter and brighter! Thank you so much Emmanuella. I celebrate you more! Me (Dies) when she said 'Yes I am engaged' when I thought I have finally found my African Princess...NDB help me! 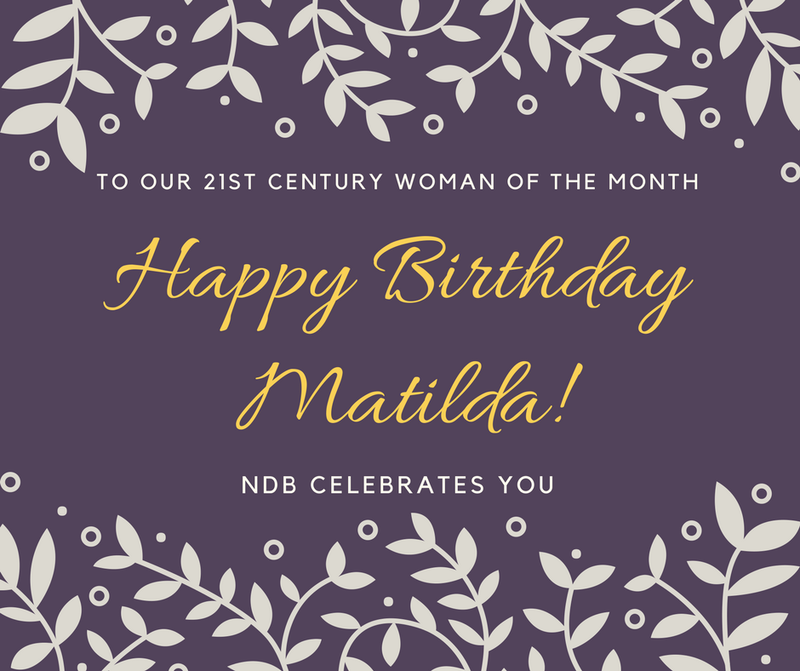 I celebrate u Mame Matilda! Thanks for being a blessing even in the tiniest of ways. Well done Naomi.